Kerry Katona’s husband George Kay has been arrested on suspicion of assault and the unlawful possession of a Taser. Police were called to the couple’s home in Crowborough, East Sussex, on Saturday (October 3) after reports of a woman being assaulted. The 35-year-old was held on suspicion of causing actual bodily harm and has been bailed until October 24. 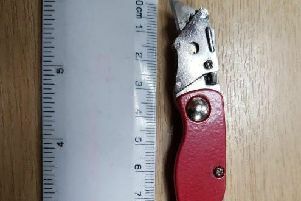 Sussex Police said: “A 35-year old man was arrested at the address on suspicion of causing actual bodily harm to a 35-year-old woman, and of unlawful possession of a Taser. “He was later released on police bail until October 24 while enquiries continue.